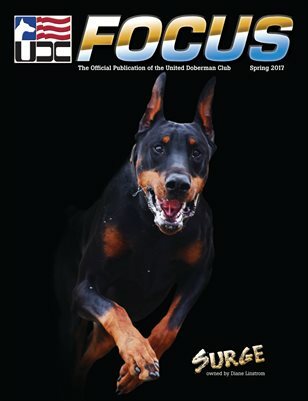 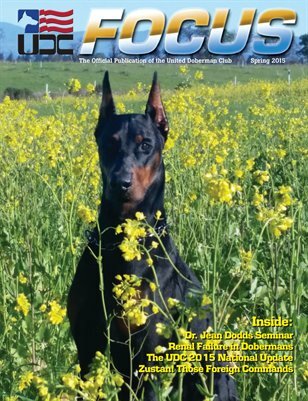 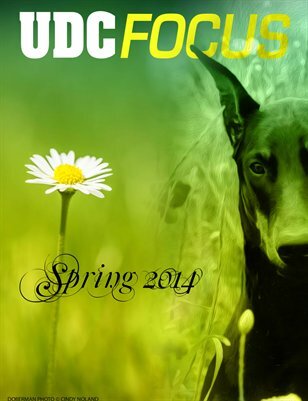 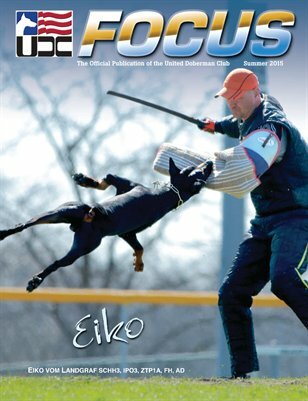 United Doberman Club's (UDC) Spring 2018 issue of UDC Focus, the magazine for the Total Doberman. 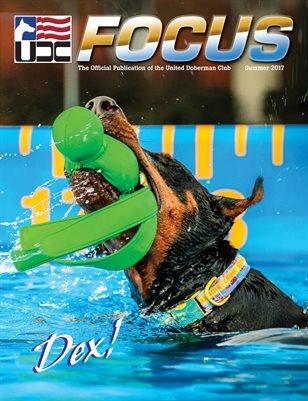 United Doberman Club, the magazine for the Total Doberman with a Focus on the Working Doberman, Summer 2017 issue. 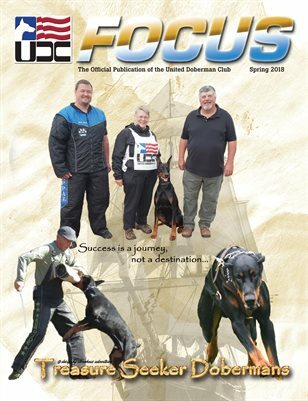 United Doberman Club, the magazine for the Total Doberman with a Focus on the Working Doberman, Spring 2017 issue. 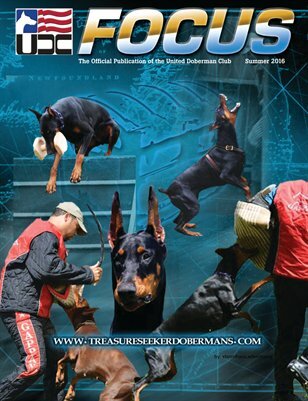 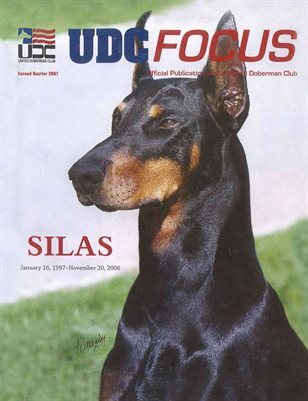 Summer 2015 issue of United Doberman Club official magazine The UDC Focus. 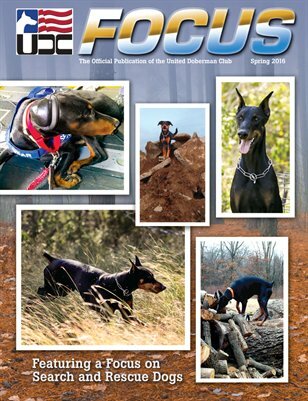 Geared toward the total working Doberman.